QR Reader is a native extension that allows an application to read QR code on iOS. The API is wrapped around the ZBar iPhone library. The developer can interact with the reading process using events. 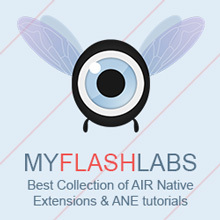 Air Native Extension, iOS GPL. URL.